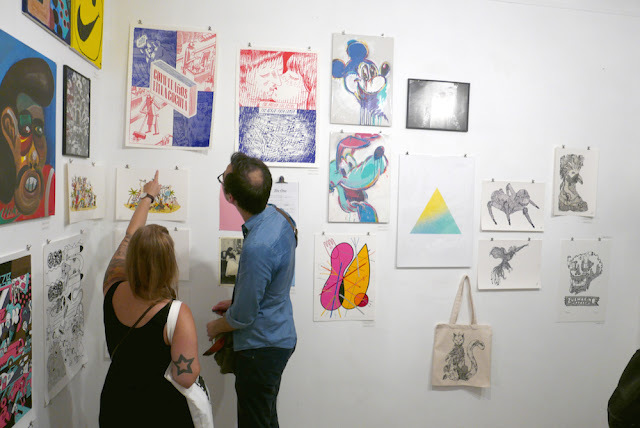 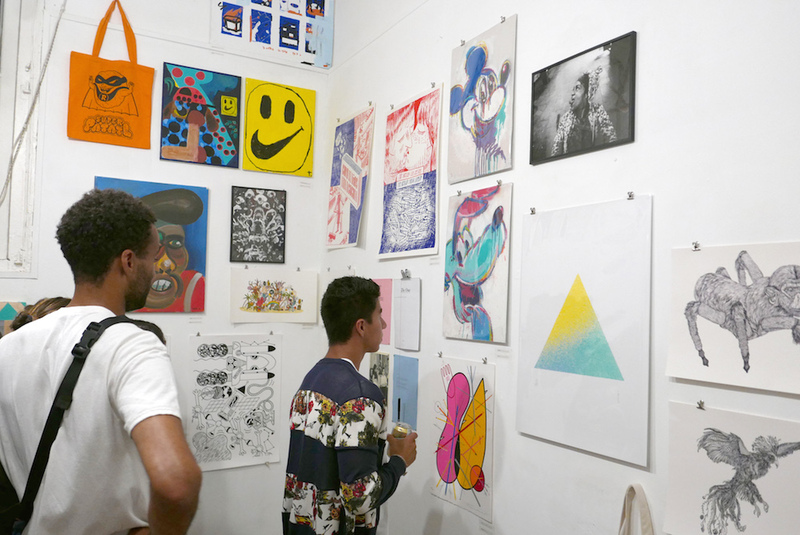 Last week's first collective show by the Raval Academy of Arts, was a great success! 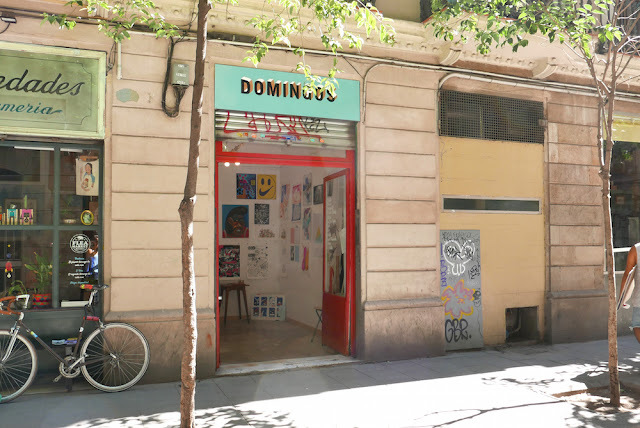 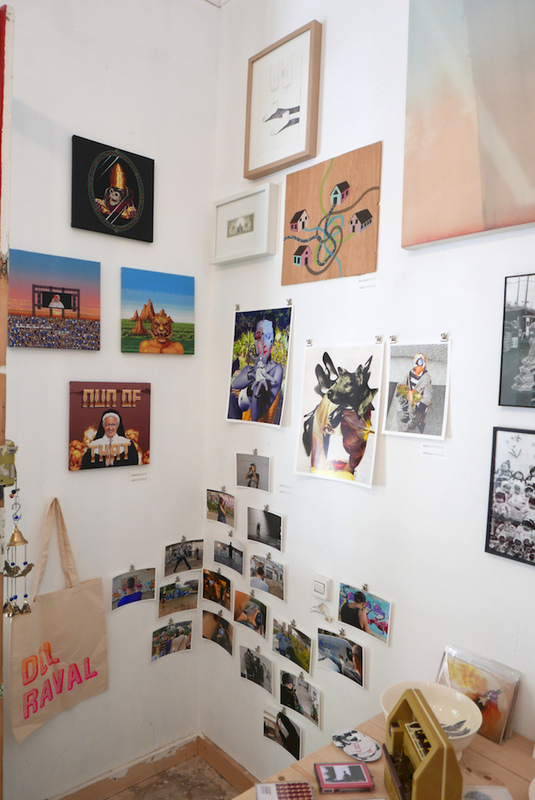 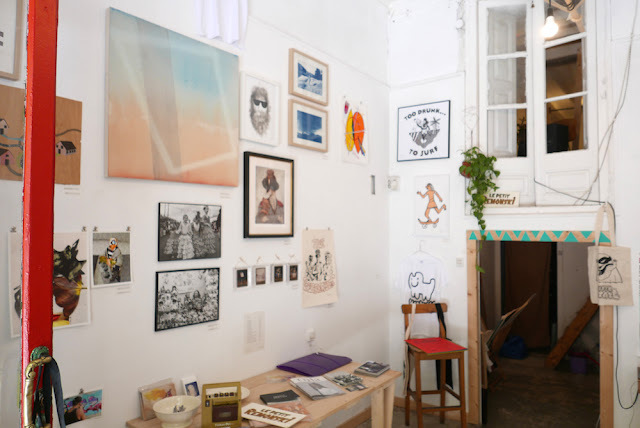 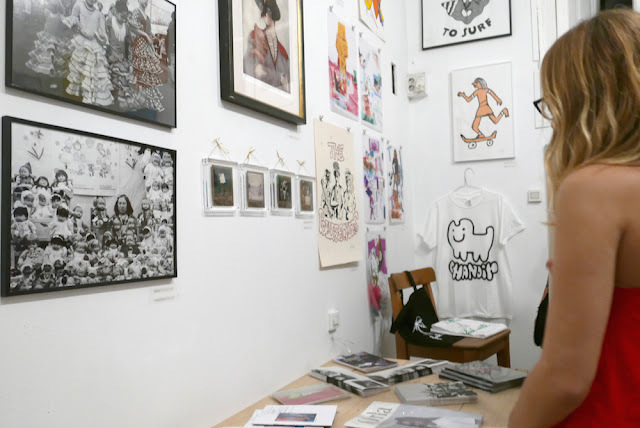 A very attractive little space full of talent and pure art, where you could enjoy watching all kind of art works such as prints, photography, original pieces, t-shirts... during the whole weekend in the Raval, Barcelona. 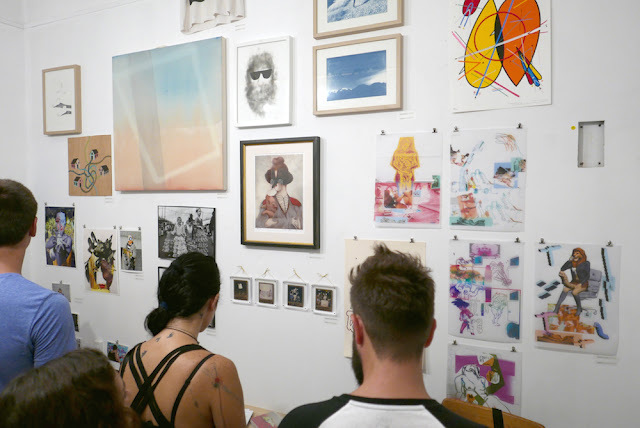 During the opening, the space and street was crowded, with a very nice & arty atmosphere. You could also enjoy a nice beverage and meet some of the artists of the show. 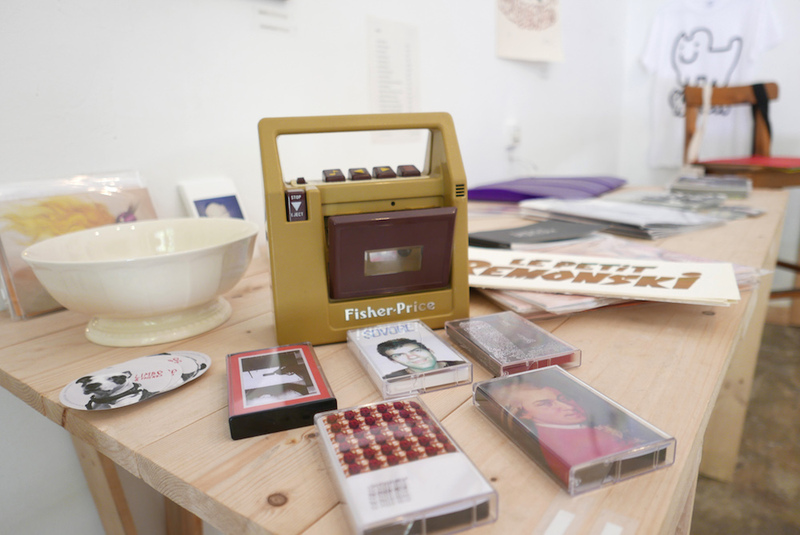 Hopefully we will be able to enjoy another of their collective shows soon.. ! 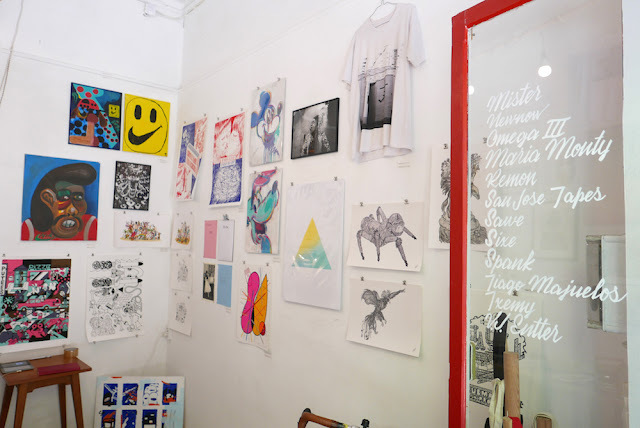 All Txemy's artworks not sold at the show, you can find them now at our SHOP. 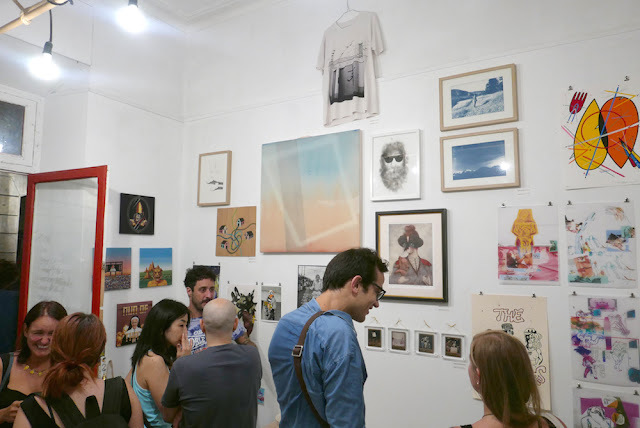 See below some pictures of the opening night and the space by day.